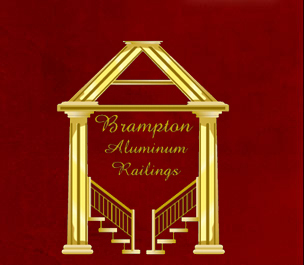 Copyright © 2008 Brampton Aluminum Railings Inc.
Brampton Aluminum Railings Inc. is pleased to welcome you to our website. Our website is full of information that will help introduce you to who we are and what we do. We are here to help you and look forward to serving you. We have made a strong presence in our business market and are continuously striving for a positive future for ourselves and our clients. It is our mission to be the best in our field of expertise and you will quickly realize this when you choose us. We achieve the results you are looking for through the use of clarity, and the understanding of your needs. You will find what you are looking for with the services that we offer. We stand behind our services and products and know that we will deliver the satisfaction that you are looking for. Please feel free to look around our site to learn more about us and what we can offer you to help meet your needs.